Diffuse knapweed is native to Eurasia and was introduced to North America in the late 1800s as a contaminant in alfalfa and clover seed. Diffuse knapweed becomes tough and unpalatable late in the season which causes grazing animals to avoid using this plant as forage. 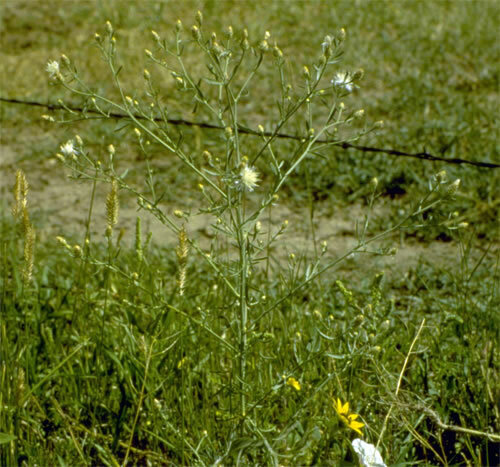 It can quickly establish on disturbed sites and invade native plant communities. Once established, it can form large infestations in both rural and urban areas. 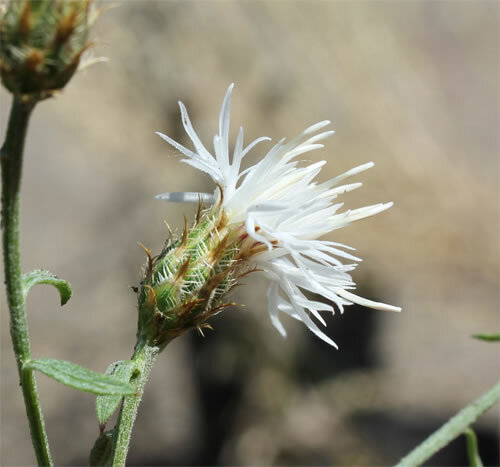 The flowers of diffuse knapweed are white to pink in colour and are surrounded by triangular bracts that narrow into short, stiff spines. Leaves are alternate, deeply lobed, and covered in fine hairs that give them a grey-green appearance. 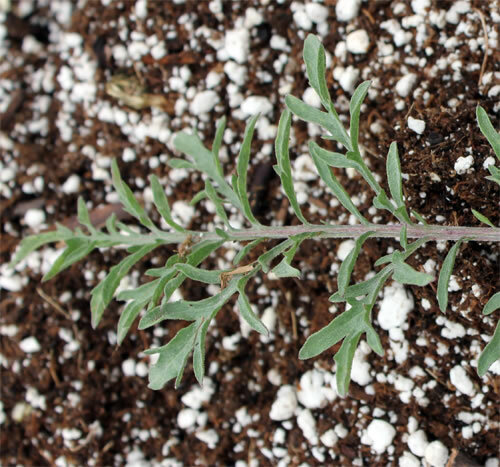 Diffuse knapweed has a single upright stem that can reach heights up to 100 cm. It commonly causes rashes when touched with bare skin.